Irene has 12 years of extensive experience in the accounting and secretarial field. She has assisted various clients in structuring their business entities, advisory and statutory compliance matters. 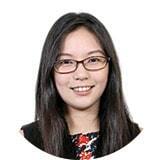 Irene joined Finova Singapore Pte. Ltd in January 2011. Her experience had helped to firm to develop its Business Process Outsourcing business, which is now known as Zico BPO Pte. Ltd.